The field of registered nursing represents a rare gem in terms of both education and employment. With a median pay of over $68,450 in 2016 and a projected growth of approximately 16% within the next decade (that’s over 439,000 jobs), registered nursing is a lucrative field with a rising potential for growth. An aging population with increasing access to health insurance is a recipe for a healthy job market for prospective registered nurses. It’s no surprise that online RN programs are gaining traction as the field of nursing has more demands and gains more attention. With increased competition, education and training remain a top priority of prospective nurses who are seeking employment. 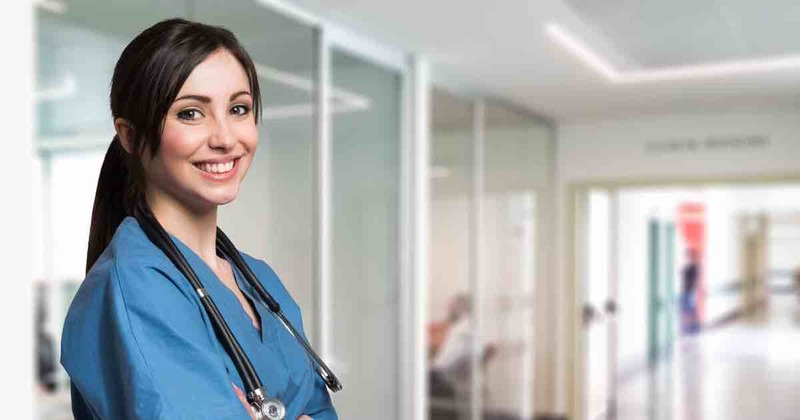 Nurses that are considering an RN have many options when it comes to education, including a Bachelor’s of Science Degree in Nursing (BSN), an Associate Degree in Nursing (ASDN) or a diploma from an accredited nursing program. A strong RN program and a passing score on the NCLEX-RN are essential for those looking to come out on top amongst the hundreds of thousands entering the nursing sphere. Earn Your RN Online. You could qualify for a $6,095 Grant! Search for Online Georgia Nursing Programs. What Can I Expect from an Online RN Program? The idea of an online RN program may seem backward, especially considering that nursing is such a hands-on field. 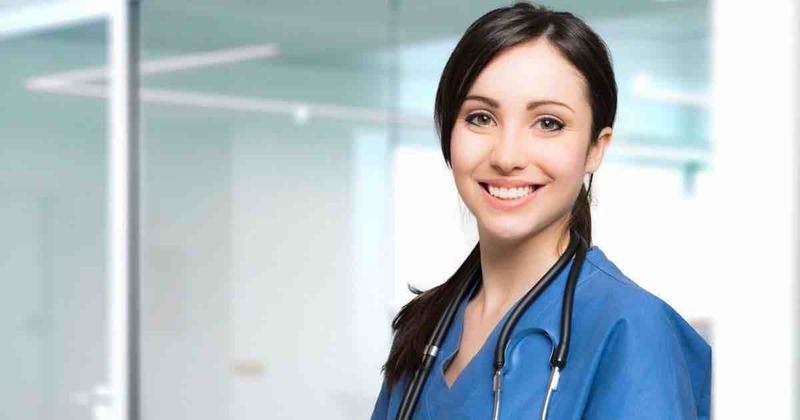 However, by teaching the necessary background science courses like biology, physiology, and anatomy, in an online format, online RN programs have proven to offer incredible flexibility and recognized to be equally as academically competitive and reputable as completely on-campus nursing programs. Just like traditional nursing programs, all online RN programs require their students to fulfill in-person, supervised clinical hours of hands-on lab experience prior to completing their degree program. Registered nurses should expect to complete courses in the sciences of biology, anatomy, physiology, nutrition, behavioral sciences, psychology and other related courses. Students who are interested in becoming an RN have multiple pathways. On average, online Bachelor’s of Science (BS) degrees in nursing are relative in length to traditional four-year bachelor’s degree programs; meanwhile, online associate and diploma nursing programs may take between two and three years to complete. What Are My Nursing Degree and Certification Options? Nursing requires a diverse skill set, in terms of both technical knowledge and personality. Beyond the intricacies of the medical world, nurses are expected to be compassionate, level-headed and cool under pressure. There is a myriad of potential stresses, including unforeseen complications and problem patients, which can put a strain on even the most gifted students of the field. In addition, nurses are expected to be team players who can assess the needs of both their colleagues and patients. A strong online RN program can help hone such skills in addition to preparing candidates for the sometimes anguishing aspects of this rewarding field. What Are The Different Online RN Programs? As noted earlier, there are multiple paths to becoming an RN through online degree programs. In terms of marketability and experience, a Bachelor of Science (BSN) degree is the ideal choice for candidates looking to go beyond an entry-level nursing position. However, candidates may opt for a more streamlined educational path of an Associates Degree in Nursing (ASDN). Both the BSN and ASDN degrees offer the ability for candidates to earn the title of Registered Nurse. So what is the core difference between the BSN and ASDN? Registered nurses who complete a BSN degree program often receive additional training in leadership and administration beyond their academic course load. Additionally, a Bachelor’s in Nursing Science requires the traditional four-year commitment of a standard degree. Studies from the American Association of Colleges of Nursing note that nurses with BSN training have better outcomes in terms of patient care and lower mortality rates. The increased academic expectations of a bachelor’s degree, coupled with intensive training beyond the classroom, results in highly-qualified candidates who are ideal to those hiring medical professionals. Regardless, those with an associates degree in Nursing can expect to perform similar duties to those with a BSN in terms of patient care, meanwhile earning a similar, respectable salary. It should be taken into account, however, that BSNs have greater opportunities for advancement and pay increases. 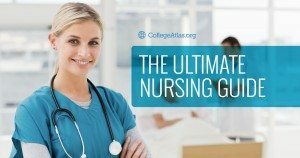 Fortunately, options such as fast track ADN to BSN programs do exist for those who already have an associate degree or would perhaps be interested in advancing their nursing careers in the future. In the eyes of many employers, an RN is an RN regardless of the degree background. Although those with a bachelor’s degree may have a slight edge over an associate’s degree holder, candidates with either degree have great potential in the modern healthcare market. What Else Should I Know About Online RN Programs? p>The application process for an online RN degree program is not unlike the application process for most online colleges and universities. For example, when applying for an online RN program, students are expected to provide a transcript and resume detailing their education and work history. Beyond the typical application requirements, many nursing programs require potential candidates to submit an essay which explains their personality and their desire to be in the field of nursing. This essay provides candidates an opportunity to set themselves apart from the pack, highlight their positive qualities and emphasize why they’re the right fit for admission into the nursing program. Essays should cover the candidate’s drive, service, compassion, and empathy, all of which are valuable elements of a successful nursing student and future nurse. As part of completing an online RN program, students will be expected to pass the NCLEX-RN (National Council Licensure Examination). The exam is completed upon graduation from either an accredited ASDN or BSN nursing program; passing is a requirement for those seeking a registered nurse license. Topics covered throughout the NCLEX exam include safety and infection control, health promotion and maintenance, psychosocial integrity and physiological adaptation. The NCLEX-RN exam is a six-hour, adaptive, pass or fail test; therefore, candidates planning to pass the exam should take care to be studious and attentive during their degree program and test preparations in order to ensure a passing score upon graduation. Completing an online nursing program and becoming an RN can take between two and four years, depending on the degree program. Special, accelerated programs exist to fast-track potential nurses into the field or that allow nurses with associate degrees to more quickly earn their bachelor’s degree. Before you enroll in an online RN degree program, we encourage you to check the institution’s national and state accreditation. The primary accreditation bodies for registered nurses are the ACEN (Accreditation Commission for Education in Nursing) and the CCNE (the Commission of Collegiate Nursing Education). The annual cost of an online RN degree in nursing can range from approximately $3,000 to over $10,000 depending on the institution and financial aid and scholarship opportunities. Is an Online RN Program Right for You? Employment data and current trends point to a clear need for nurses in the coming decade. For many driven and compassionate candidates, an online RN program may be the ideal, flexible option for gaining entrance into this growing and lucrative field.